Would Advanced Trauma Life Support Have Saved Lord Nelson? Dr G.R Craig, Consultant in Anaesthesia and Intensive Care, Queen Alexandra Hospital, Portsmouth. Presented at the Davy Bicentenary Meeting, Bristol, 13th - 15th May 1999. 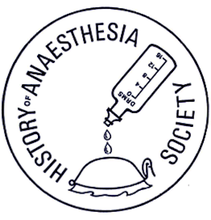 Proceedings of the History of Anaesthesia Society 1999; 25: 90-94. Portsmouth can be considered the home of the Royal Navy and the town has very close ties with Nelson. It was from here in 1805 that he sailed to what has been described as his finest hour, and to his death, at Trafalgar; here his flagship HMS Victory remains. We all appreciate that lessons can be learned from history and that it is sometimes worthwhile to take a step back and reflect on what advances we have achieved. I thought it would be interesting to speculate on how Nelson may have fared with today's trauma care. Before that, however, we need to know something of the background and about what happened on 21 October 1805. I will briefly paint a picture of what it was like to be a ship's surgeon at the time of Trafalgar and then examine the circumstances surrounding the death of Nelson in what nowadays, from a trauma point of view, could be called his 'Golden Hour'. The Victory as seen today remains impressive and picturesque but remember that she was a warship and was designed to kill people. She was one of the largest ships of the time and was called a first rater, with over 80 guns and 500 crew. The gun decks were incredibly cramped and noisy. By comparison, Wellington with his army 10 years later at Waterloo had only 150 pieces of artillery. During normal duties the sick bay was located in the for'ard area as the importance of hygiene and ventilation had been appreciated by this time. However, during times of action the sickbay was transferred to the lower orlop deck as this was nearer the waterline and therefore offered some protection against further injury from fragmentation. Victory had one ship's surgeon who, at Trafalgar, was Mr. William Beatty, and two assistant Surgeons, Messrs.’ Smith and Westernburg. I am sure that no-one would draw parallels with the current situation but during the 18th century physicians were university trained, were considered scholars and gentlemen and their opinions were expensive. Surgeons on the other hand were considered craftsmen, and learned their trade by apprenticeship. Apothecaries were the dispensers but often were taken on as Assistant Surgeons, anaesthetists had not been invented. To become a ship's surgeon the prospective candidate had to have been examined by what was the Company of Surgeons which had split from the Barber-Surgeons Company in 1745. In 1800 the Royal College of Surgeons of London was formed and took over this role. At this time ships' surgeons were not commissioned officers in the Royal Navy and recruitment was a problem, but they were still comparatively well looked after as is shown by the relatively comfortable surgeon's quarters on the Victory. Guidelines are nothing new and written instructions were given to ships' surgeons by the Sick and Hurt Board, which subsequently became the Board of Transport. The instruments of Mr. William Beatty are preserved, including an amputation knife, scalpel, bullet extracting forceps, bone saw, two trephines and a gate tourniquet, and they were all well used. Bearing in mind that Trafalgar was nearly 40 years before the first anaesthetic was given, surgical quality from the patients' point of view consisted of a single attribute - speed. One of the commonest operations was amputation and the average time taken to perform a limb amputation was about four minutes. This was not a mere guillotine procedure but often a more considered technique with skin flaps and ligatures on the appropriate vessels. Nelson had previously had a right above elbow amputation on 25 July 1797, following a grape shot Injury during the battle of Tenerife. His worst memory was the shock of the cold knife and he subsequently instructed all ships' surgeons to warm their instruments before use. It is interesting to note that he was given opium postoperatively and that his surgeon had appreciated the value of early enteral feeding such that the next day he was able to tolerate a light diet. In 1805 Britain was still at war with France and naval dominance had prevented Napoleon invading Britain across the Channel. Nelson wished to destroy the Franco-Spanish fleet, which he had been chasing for 18 months. He sailed from Portsmouth in September 1805, again having got word that the enemy was putting to sea. The two fleets first sighted each other at dawn on 21 October but with light winds took about six hours to close. They engaged off Cape Trafalgar. As Nelson wanted complete destruction of the Franco-Spanish fleet he adopted the slightly radical tactic of ‘crossing the T'; rather than traditional broadsides on a parallel course he attacked in two columns at 90°, aiming to break through and to disrupt the enemy formation. The French guns opened fire at about 11.30am and Victory fired shortly after noon as she came up behind one of the French ships. Nelson's flagship then found itself in the thick of close quarter battle, with another French ship, the Redoubtable, approaching Victory’s starboard side. At approximately 13:I5 Nelson was hit in the left shoulder by a musket ball fired at a range of about 50 feet from the rigging of the Redoubtable. He is quoted as saying: 'They have done for me at last; my backbone is shot through'. He was carried down to the sick bay, which was no easy feat, as this was four decks below. There, Mr. Beany was treating about 40 other wounded and dying men. The scene was subsequently described by the Reverend Dr. Scott as 'worse than a butcher's shamble'. Mr. Beatty assessed Nelson's injury. He noted the entrance wound on the left shoulder, which he gently probed and discovered no metallic foreign body. He also noted that there was no exit wound. Nelson was complaining of 'severe back pain and privation of sense and motion of the inferior extremities'. His pulse was weak and irregular and his respiration short and difficult. The symptoms and signs of hypovolaemic shock were noted over the next one to two hours with Nelson complaining of severe back pain and also that he felt blood gushing within his chest. His chest was rubbed to ease the pain, he was fanned to try and keep him cool and given some cooling drinks of water, lemonade and a little wine. Like today, doctors have to be bearers of bad news and William Beatty concurred with Nelson that nothing could be done for him. About two and a half to three hours after he had been shot Nelson requested his steward to turn him onto his side. This the steward did and Nelson died a few minutes later. Bear in mind that Nelson was far from being the only casualty that day. Especially on the Franco-Spanish side, the numbers of dead and injured were in the thousands. Being Ship's Surgeon in these circumstances must have been hell. Nelson's body was preserved in a barrel of brandy for the journey back to England and his state funeral. At post mortem a 16.6 mm musket ball was retrieved. It showed deformation of the ball and some of the material from Nelson's left epaulette was still attached to it. It was reputed to have been fired from a type of French musket similar to a Versailles Carbine but ballistic examination shows that it was fired from a pre-French Revolution musket. Agelatine block simulation of the type of projectile that hit Nelson demonstrates a large permanent cavity from direct tissue crush. Modem high velocity bullets cause more tissue damage and crush injury associated with projectile yaw, fragmentation and energy dissipation. Sadly our advances in medicine are often in response to such advances in injuring people. If Nelson had sustained similar injuries today would our current expertise have altered the outcome? Figure 1 shows the Admiral back on deck, and he obviously hasn't learnt from the past as he has gone straight to the spot that is right in the sights of the French sharpshooter. History repeats itself and he falls to the deck having again been shot through the left shoulder. Immediate battlefield first aid would probably not be very different today. Hopefully, there would be improved basic airway manoeuvres if required, but essentially the first aid treatment would still consist of stopping the bleeding and applying a tourniquet if appropriate. However we have considerably improved communications and transport now so we see that an appropriately equipped medical team has quickly arrived by helicopter. They naturally follow Advanced Trauma Life Support guidelines and simultaneously assess and treat the ABCs with cervical spinal control. This will involve the administration of oxygen, intubation and ventilation followed by needle thoracocentesis and left chest drain placement after establishing intravenous access. The use of pre-hospital fluids in hypovolaemic shock due to penetrating torso injury is an area of interesting debate at the moment. The team will obviously use appropriate spinal stabilisation and then transport the patient to the right place at the right time, probably again by helicopter. There is likely to be a large welcoming crowd. Major trauma is often an 'all or nothing' phenomenon in terms of the number of people involved. If word gets around that a famous person is being brought in there usually is no shortage of personnel, with everyone looking for knighthoods. William Beatty was knighted some years after Trafalgar - which shows that you do not necessarily have to be successful in your treatment. In the Trauma Unit a chest x-ray will show the relevant injuries, the musket ball lying just inferior to the right scapula, and correct placement of endotracheal tube and chest drains. Nelson will obviously need a left thoracotomy to stop the bleeding; depending on his state on arrival this will hopefully be done in the operating theatre. There is some data from Houston and San Francisco that shows benefit for emergency room thoracotomy in the moribund patient with penetrating chest trauma although the outcome for stab wounds is obviously better than gun shot wounds. Subsequent care of the Admiral will be in an appropriate Intensive Care Unit. It is easy to overlook one of the most major advances since Trafalgar in that with the advent of anaesthesia and analgesia, Nelson will have been unaware and pain free since his resuscitation. Finally, he will have been immunized against tetanus and will be given prophylactic antibiotics. But will he survive.....? I think in these optimal circumstances Nelson would have survived although he would obviously have been wheelchair-bound and paraplegic. In which case he would probably have ended up with much brandy inside him rather than the reverse. Figure 1. Modern management for Nelson?